I purchased a replacement microwave. When the installer came out to do the install, he said that he couldn't do it until the cabinet trim was removed because there wasn't enough clearance to remove and replace the microwave. I measured it and there is about 3 inches from the top of the trim to the bottom of the microwave. I watched videos and I see how they are removed but do you really need to angle the microwave that far? Does the trim really have to be removed??? 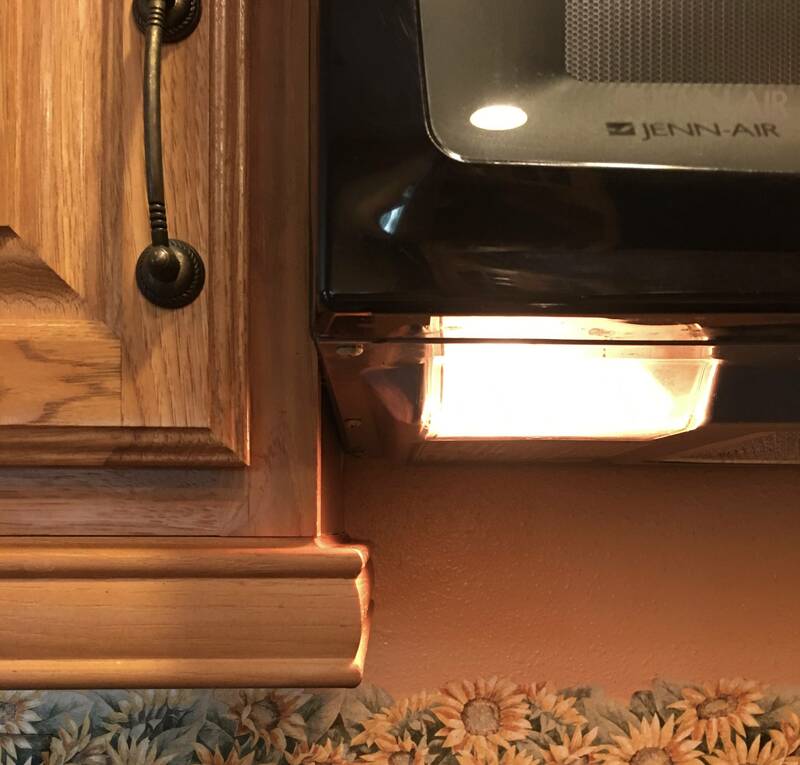 While I cant speak to your particular microwave or cabinets, there is an issue with many setups that do require an angled entry that may be the problem the installer is concerned about. Many over the stove microwaves hang on a metal frame attached to the back wall. This frame usually has a lip at the bottom that engages with slots in the bottom back of the microwave and provides the support at the back edge. The other support points are bolts that come through the cabinets near the front of the microwave. The microwave needs to be tilted on about a 45 degree angle to engage that back lip. Once engaged, the microwave is then tilted up and back until it is flush with the wall ant the bolts can be dropped in from the cabinet above. It may be that the existing molding will prevent that tilt. The above cabinet prevents the microwave from being lifted straight up to clear the lip. I would remove both inside (both sides)and front trim, and then reinstall after the oven is in place. What is a good way to cat-proof (or child-proof) kitchen cabinets? How can I conceal an over-the-range microwave? How can I trim 1/8 off the bottom of an installed cabinet?